Home ► EduCorp Blog ► Quiet no more! The Corporations Professional Ecosystems has launched www.heutology.com . As time passes, new ecosystems will be launched according to occupational need and partnership formation. The integration of blockchain and heutology xAPI will soon add dimensions to system access and trust protocol not previously experienced. Learning in real time can now be measured and wearable technology will capture face to face learning instances in the near future. What an incredible age we are living in, so much progress in such a short space of time. The global futurist, Matthew Griffin, wrote in a September 2016 opinion piece, "The future of jobs in a Machine World" that the disciplines hardest to automate are: creativity, dexterity, emotional intelligence, empathy, instinct, persuasion and social intelligence. Many of these elements are right brain based functions, which Sir Ken Robinson, Richard Wells, Ian Jukes and Jackie Gerstein have advocated for some length of time. Human beings will always be an essential element in the education profession - empathy, encouragement, mentoring - the gathering of learning evidence to disqualify the need for standardised assessment is the challenge. Adaptive learning systems are a modern day miracle, an engineering feat. According to the answers given the next learning step is presented, a machine determined pathway, the choice is removed. Heutology enables the learner to be self determined in the pathway and means of expression. It is the human element that then provides feedback against agreed success criteria - a mentor, an assessor - whose role it is to guide the learning process, not control it. 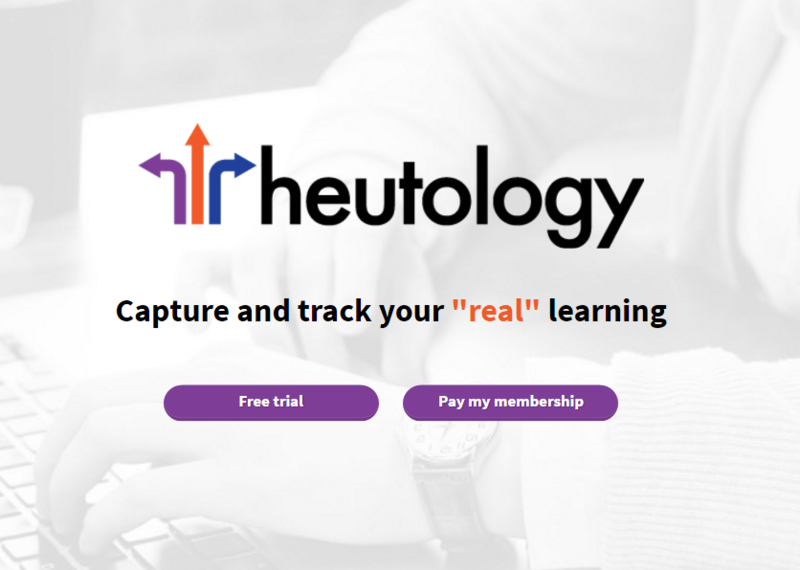 Please join Heutology or EduCorponline - a comprehensive user guide is now available in the Help section denoted by the blue question mark or found at the bottom of each page. Become an active mentor in the co-operative and your ongoing complimentary membership will be just part of your reward.